Mr. Leavitt represents clients in civil litigation and administrative matters with a focus on property rights litigation including eminent domain, inverse condemnation, water rights and code violations. In addition, he also handles valuation issues including real property disputes, business valuations and property taxes challenges. Mr. Leavitt practices throughout Florida and in a number of other states. He typically represents property owners, tenants, businesses in pre-litigation negotiations, administrative hearings, political proceedings and at trial. 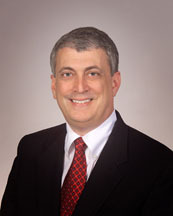 In addition, he has extensive experience in the areas of Florida documentary stamp taxes and intangible taxes incurred in connection with conveying and mortgaging real estate.